(VEN) - The 2018 consumer price index (CPI) is expected to grow less than four percent - the annual target set by the National Assembly. According to Ta Thi Thu Viet, Deputy Director of the Price Statistics Department of the General Statistics Office of Vietnam, in the first nine months of 2018, the CPI grew gradually, from 2.65 percent in January to 3.97 percent in September. The index grew rapidly in June and July, by 4.67 percent and 4.46 percent, respectively, compared with the same months in 2017. However, the growth rate slowed down in August and September. 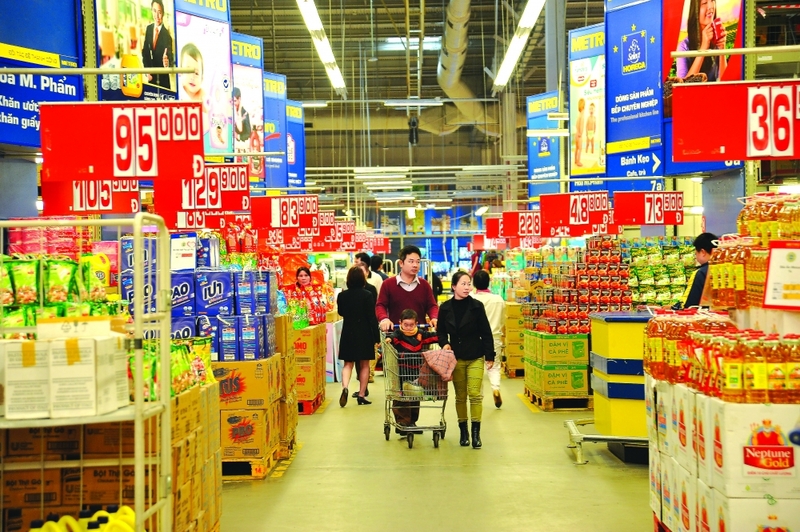 Le Thi Hong from the Ministry of Industry and Trade’s Domestic Market Department, said that in the first quarter of 2018, thanks to sufficient supplies, prices did not rise despite increased consumer demand that typically occurs in the months leading up to Tet, the Vietnamese New Year celebrations. In the second quarter, pork supplies decreased, leading to strong increases in price. However, the supply of other agricultural products increased thanks to bumper crops and their prices did not plunge thanks to the support of ministries, sectors and localities. The Domestic Market Management Team forecast the commodities market would suffer the impacts of various factors that create price pressure. These factors include increased demand for various kinds of goods, especially food and household utensils, the foreign exchange rate, and global energy and raw material prices. Moreover, livestock diseases, especially those affecting pigs, could also have an adverse impact on the commodities market. The Domestic Market Management Team requested the people’s committees of provinces and cities to provide guidance for relevant units to develop market stabilization programs during peak periods, such as New Year and Tet, as well as trade promotion and supply-demand connection activities to promote production and sales to ensure the balance between supply and demand. These efforts will contribute significantly to stabilizing the market, curbing inflation, maintaining macroeconomic stability and ensuring social security. In the opinion of Tran Thi Phuong Lan, Deputy Director of the Hanoi Department of Industry and Trade, along with intensifying market monitoring, it is necessary to increase data and information sharing between tax and customs offices, as well as between the industry and trade and agricultural sectors, to facilitate market surveillance and stabilization efforts. trillion in September, 1.29 percent higher compared with August.